Human version based on “Usual elfs and orcs 3” . http://rara.jp/playclub/page11952 No.12399 * Core2氏のMOD URLリストです / This LINK is Core2 Mod URL list. * オリジナルはリンク切れ #47のコメント参照 / Original LINK dead. Look at #47 comment. Some items in the scene don’t show correctly. I installed 【パーティ】舌・その他【NEO】v.12.1 and ran HIR NEO but I’m still missing some elements. 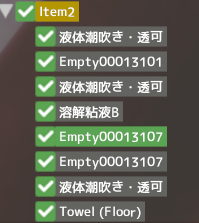 Could you tell me what are the name of the items I’m missing? Sorry. I had updated the Mod list. Install the Core2’s Liquid.